APM Music is proud to provide the perfect musical backdrop for these Super Bowl LIII spots. The Bud Light x Game of Thrones "For The Throne" spot (Droga5 & Wieden + Kennedy NY) features the APM track, "Sir Richard's Pleasure" (KPM 10 #5) which has been the famous “Dilly Dilly” campaign theme song for over a year. Three additional Bud Light "Dilly Dilly" spots also included the same theme, using "Sir Richard's Pleasure" (KPM 10 #5). 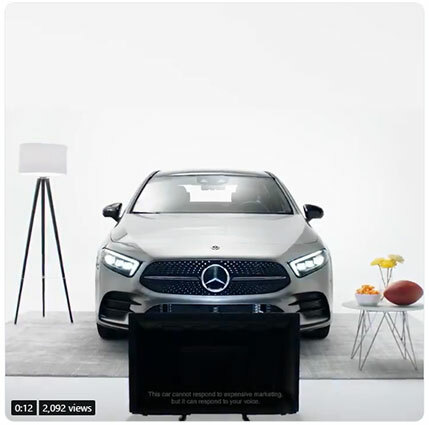 R/GA NY's ad for Mercedes Benz USA #AClassRealTalk campaign, for The A-Class, official car of this year's Bowl, was "responding" to all of the spots in real time. "Novela" (MEZ 25, #7) is the theme track for several videos that were tweeted live!